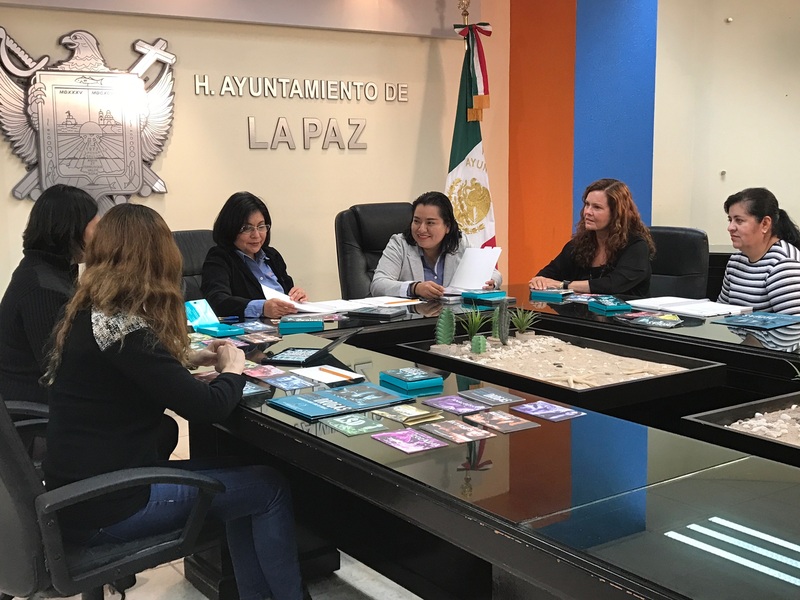 La Paz, Baja California Sur, March 8, 2017	(Newswire.com) - ​​With increased drug abuse and drug-related violence threatening lives daily in Baja California Sur, state officials are initiating the Foundation for a Drug-Free World’s “Truth About Drugs” program with an official co-signing of a memorandum of understanding (MOU) and a special one-day teacher training seminar for educators in La Paz this week. Both are the first steps in implementing a drug awareness and education curriculum that Public Education Secretary Prof. Hector Jimenez Marquez has ushered into the state school system, one that has expanded by 16 percent this school year and now services upwards of 240,000 students. At the official launch this Thursday, March 9, at Hyatt Place (9am – 12pm), the Foundation will provide more than 80 educator-attendees with free teacher instruction and materials. The Truth About Drugs program will then reach BCS youths in classrooms and community learning programs over the next two school years. Thursday’s seminar attendees will then teach the Truth About Drugs education and prevention curriculum in schools and community health education programs statewide, according to Rocxana Vianey Reyes Simon, President of the Health and Social Welfare Commission. The Foundation for a Drug-Free World is a Los Angeles-based nonprofit, public benefit corporation that promotes and distributes the Truth About Drugs program. The cornerstone of the program, the Truth About Drugs education package, contains a complete curriculum with a user-friendly educator’s guide; audiovisual aids including the award-winning documentary The Truth About Drugs: Real People, Real Stories documentary film; and 24 sets of the Truth About Drugs booklet series, each containing 14 booklets on the most commonly abused drugs. The curriculum allows for as many as 19 one-hour lessons. For this sweeping initiative, the Foundation has already donated to the BCS Secretaria de Educacion Publica (SEP) and its schools more than 800 free Truth About Drugs packages for the current school year. And earmarked for summer classes and the 2017-2018 school year are another 2,000 packages for the state’s public and private schools. The adoption of Drug-Free World’s prevention program took shape in mid-November 2016 with an introductory training session held during state Health Week at the BCS Department of Education complex in La Paz, according to Cecilia Silva Velazquez, Executive Director of the State Department of Public Education’s “Safe Schools” Program. Ms. Velazquez is executing the mandate of Secretary Marquez to implement drug education with intensity in all schools. At the November launch, she expressed her commitment and that of other state education and health officials to broad implementation of the Truth About Drugs lesson plan as the state's recognized drug education and prevention program for secondary schools. “By donating our Truth About Drugs education package to teachers throughout Baja California Sur, we are committing to work hand-in-hand with SEP to ultimately reach all adolescents in the state,” said Foundation Executive Director Ambra Calzolari. And by all accounts, the effort could not come too soon, says Francisca Olachea, a state educator and mayor of Los Barriles, who has implemented the program already in her city and in other coastal communities. “I have taken the initiative, and will conduct the special March 9 training session, because drug-related violence has spiked in this state,” said the mayor. She points to the doubling of homicides – many of them, drug- and alcohol-related – from February 2014 to 2016 over those from 2011 to 2013. Address: Boulevard Luis Donaldo Colosio E / Carabineros and Av. De Los Deportees, Building of the H. Town Hall of La Paz.